A free, extensive and precise OpenEXR image reader and writer for Adobe Photoshop. Exr-IO is a free, extensive and precise OpenEXR image format reader and writer for Adobe Photoshop. 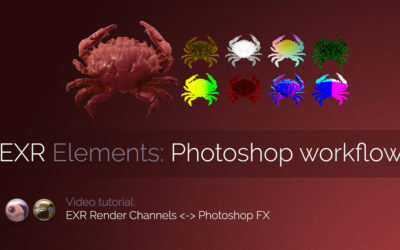 It imports all image channels from OpenEXR file into separate Photoshop layers. Unlike existing solutions, Exr-IO supports all latest OpenEXR standards and specifications. 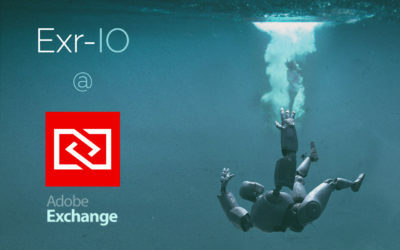 Exr-IO now available in Adobe Exchange! 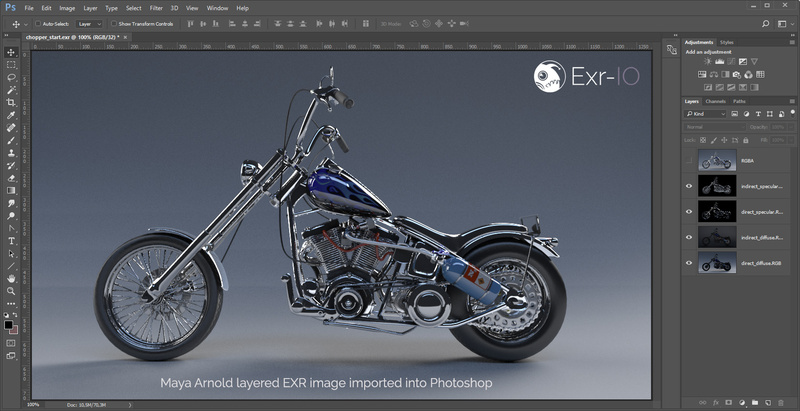 Exr-IO is an Adobe Photoshop plugin that loads and saves OpenEXR images. 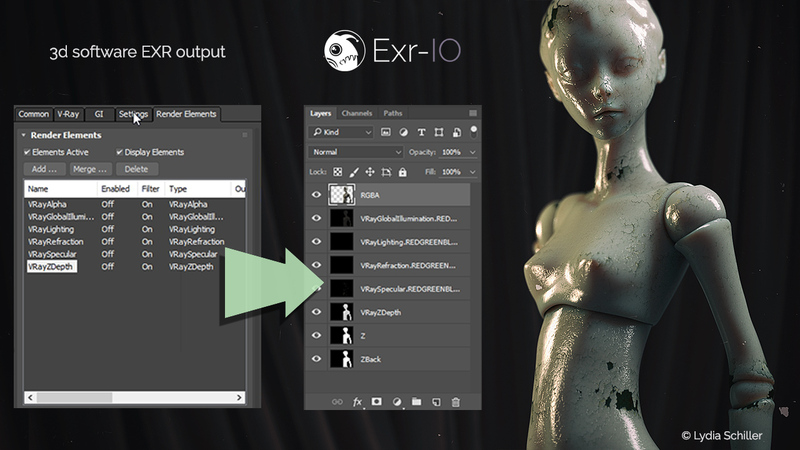 It is a robust and exact solution for dealing with multi-layer EXR pictures: Exr-IO loads all image channels from OpenEXR files into separate Photoshop layers, while preserving exact values, transparencies and dimensions. 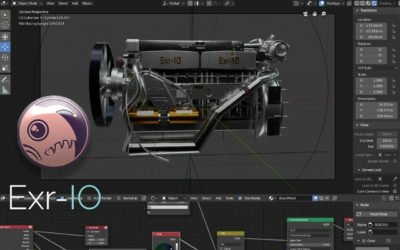 For years Photoshop artists have envied those doing professional compositing in Fusion and Nuke. The Photoshop handicap of not being able to extract the individual layers, high quality details and bit depths from EXR files was an everlasting fog of war in the workflow. With Exr-IO artists now have limitless access to all image channels coming from the 3D department or special camera formats.